Maserati could be recalling almost 50,000 cars for fire safety concerns. It seems a few months can’t go by without Maserati issuing a fire-related recall. 2017 appears to be no different than 2016, with the Italian automaker issuing two separate recalls related to the risk of fire. It’s just one month into the year, folks. The first recall impacts 39,381 2014-2017 Quattroportes, Ghiblis and Levantes. 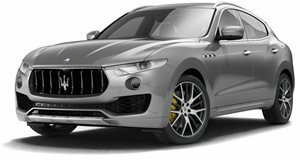 This is the second recall issued for Maserati’s new SUV this year. The first one had nothing to do with fire and only concerned Levante S models. Glass half full, right? The second issue impacts 10,879 2014-2015 Ghiblis and Quattroportes. It’s not known if the two recalls overlap. The larger one concerns improper seat wiring harness layouts. Continued adjustment can cause the harness to rub against metal portions of the seat and seat frame assembly. This can wear the harness out and, in rare cases, cause an electrical short which could spark a fire. According to Maserati’s timeline one fire related to the issue has occurred, although it’s not clear how damaging the fire was to the car, if the occupant(s) were injured or where it took place. 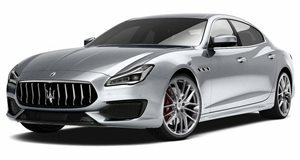 Maserati plans to notify owners in March 21st, with the solution being a dealer inspection and the installation of a replacement wiring harness if necessary. As for the second recall, well this one sounds a bit scarier. At issue are weeping fuel lines. Maserati pins the problem on its supplier, saying improper cleaning of the fuel lines allowed foreign particles to enter them. The plastic portion of the fuel lines could be scratched and potentially become leaky. So far no fires have been reported. Maserati plans to notify affected owners beginning in February. As you might have guessed the solution is to install new fuel lines, free of charge of course. No manufacturer likes to be known for recalls, especially fire recalls. 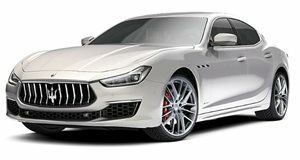 Sadly, Maserati is gaining that reputation. The good news is that stricter oversight from both the automaker and its suppliers should stamp these problems out. FCA is expecting big things from Maserati now that Ferrari has been spun off. Hopefully it gets a handle on its safety issues and is able to deliver.